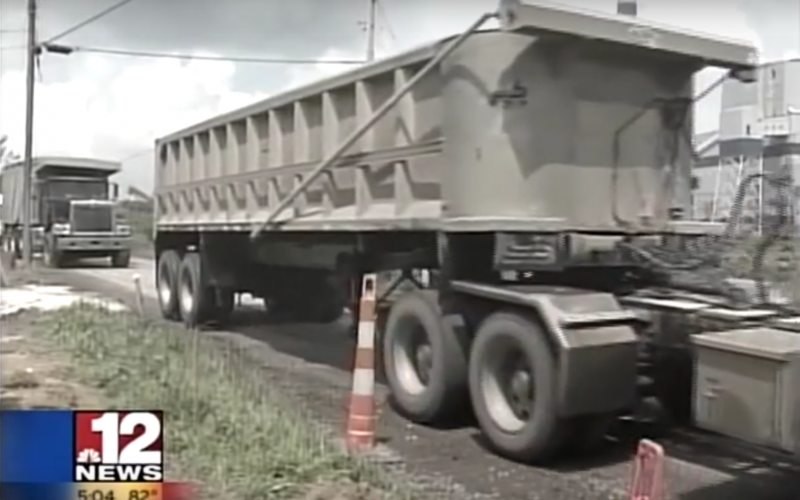 August 17, 2011 – Mechanical Concrete® was recently featured on WBOY with a look at REAGCO participation in an international conference of road builders. Mechanical concrete is a breakthrough technology for low volume roads in the coal and Marcellus Shale gas industries. The inventor, a local civil engineer, just recently introduced this patent to an international community of road builders. About 400 trucks come through this facility a day. That’s because local civil engineer, Sam Bonasso, came up with a game-changing idea. Tires that would have otherwise been burned or thrown into a landfill, are being repurposed. The mechanical concrete is being used in four counties in West Virginia; but the idea is catching on in other states, and even other countries. Bonasso just recently attended a conference in Florida, to introduce the technology. Bonasso’s “re-invention of the wheel” is saving time, money, and the environment; and it’s paving the way for open market access across the globe.